Got a burning question, need some advice or thinking about stuff like puberty, friends, school, family, pets, bullying, peer pressure or growing up in general? What Kind of GF Are You Quiz! Ever wonder what kind of girlfriend you are? Test your girlfriend skills right now and see how you rate! Need style tips or makeup advice? Have fashion questions? Not sure what to wear or how to wear it? Post your comment here! Not getting along? Confused? Get answers here! Whether you’re digging them or dissing them - here’s a place to dish about your BFF's or not. Problems at home? Can’t seem to get along with your sibs? Get help now! Got a burning question, need some advice or thinking about stuff like puberty, friends, school, family, pets, bullying, peer pressure or growing up in general? Post your questions to Dish-It in the forums for advice! Want to know what is loveable able your star sign? What to learn what signs are good romantic partners for you? Check out these new February horoscopes. Want to learn what makes your star sign awesome? 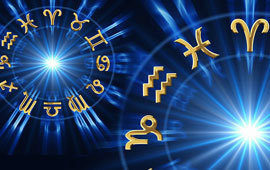 Check out these new November horoscopes to read more! Do you feel different from everybody else? Do you feel left out? Check out this new Dear Dish-It article, What It Feels Like To Be Different. In tribute to the Halloween season, Dear Dish-It addresses fears and phobias this week. What makes you afraid? Check out our latest article to help you confront and get over what haunts you. Want to know the truth about honesty and why the movie Smallfoot is a good example as to why we should be honest? Check out this new article, The Truth About Honesty. Is there anything standing in the way of your current relationship? Check out this new Dear Dish-It article, which touches on what the heart wants and what stands in its way.